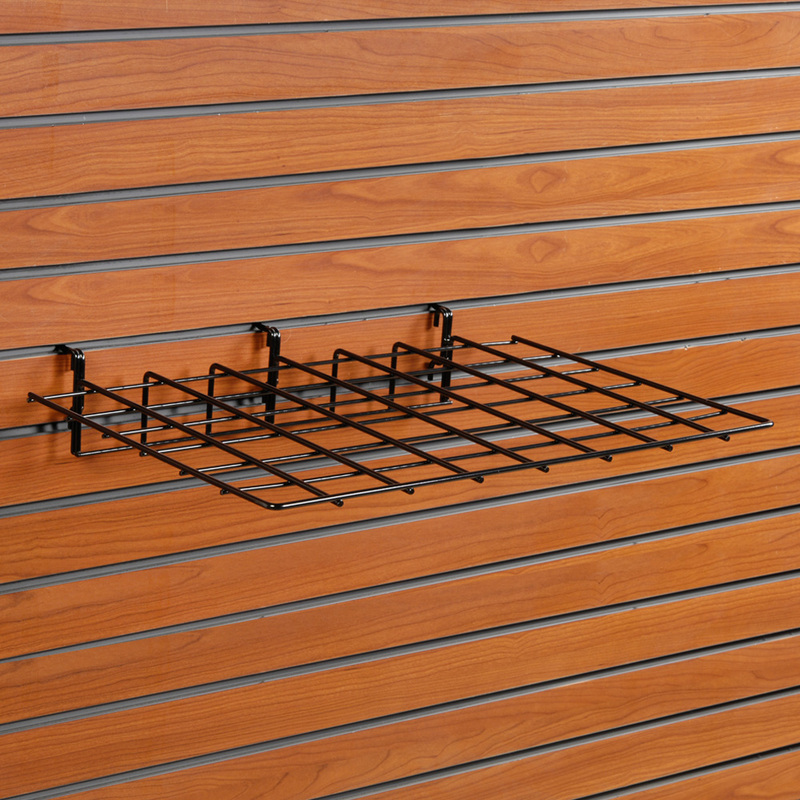 This wire straight slatwall shelving is perfect for displaying a variety of merchandise! Wire Straight Shelves work on grid, slatwall and gridwall. 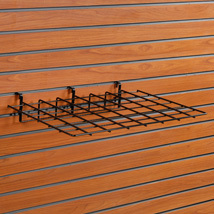 This slatwall shelving is black powder-coated over steel. For many more products, we invite you to take some time to view our thorough assortment of slatwall shelving at Specialty Store Services now.